Dr. Troy, a board-certified orthopedic surgeon, was awarded his medical degree from Downstate Medical School in Brooklyn, NY. Both his general surgery internship and orthopedic surgery residency were accomplished at New York University Medical Center. He also completed a fellowship in adult foot and ankle surgery at The Hospital for Joint Disease Orthopaedic Institute in New York, NY. His practice includes general orthopedics, and he specializes in foot and ankle disorders. Dr. Troy has been in private practice since 1985 and joined Orthopaedic Associates of Stamford in 2011. He is an attending orthopedic surgeon at Stamford Hospital and at the new Specialty Surgery Center of Connecticut. He is a Diplomate, American Board of Orthopaedic Surgery and a Fellow, American Academy of Orthopaedic Surgeons. Dr. Troy joined Westmed with Orthopaedic Associates of Stamford in July 2016. 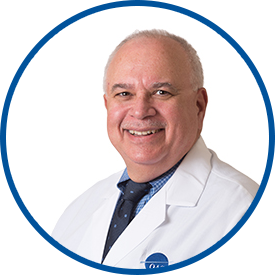 He is affiliated with the Specialty Surgery Center of Connecticut, Greenwich Hospital and Stamford Hospital. I called and was given an appointment right away - I appreciate that! All in all the care provider left me feeling in control of my problem in terms of what I personally can do to alleviate my symptoms. *Dr. Troy is so well informed, compassionate, and caring - He is the best! dr Troy has been my orthopedic dictor for quite a number of years and I put all my faith and trust in him. he is excellent!! Dr Troy is an angel. he has a great attitude. made me feel relaxed and took great care of me. Dr Troy made me feel like I was the only patient he had and that is an experience that you don't get everywhere these days! The provider and staff could not have been more cordial and helpful. Always nothing but GOOD experience. 1. *Dr. Allen Troy A+. *Dr. Troy is very good to me and he really cares about his patients. (Don't tell him I said that). Just kidding!! !